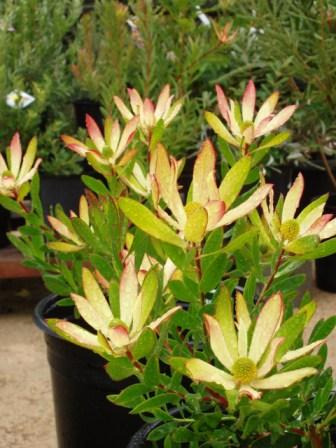 Beautiful dense compact shrub 4-5'x4-5' with bright butter yellow bracts appearing in late winter and aging to red in the spring. Tolerant of most well-drained soil types and conditions. Excellent cut flower. Frost tolerant and growing well in Ojai and on the coast.